Winter is finally behind us, which means we can shove our irritatingly gigantic coats, oversized scarves and thick boots to the back of our wardrobes for another few months (or days, if you live in Ireland). 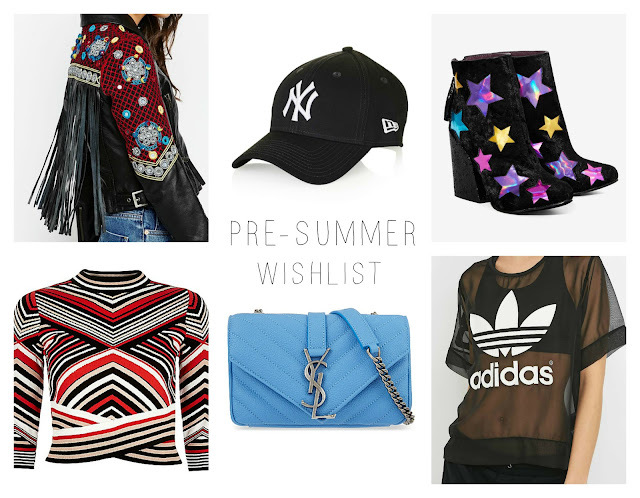 Spring/ Summer 2016 is pretty exciting, due to the amount of different trends going on at once: whether you want to continue to dress as a 70's groupie or embrace your inner Sporty Spice, it's all there for you - especially on the high street. Happy shopping..